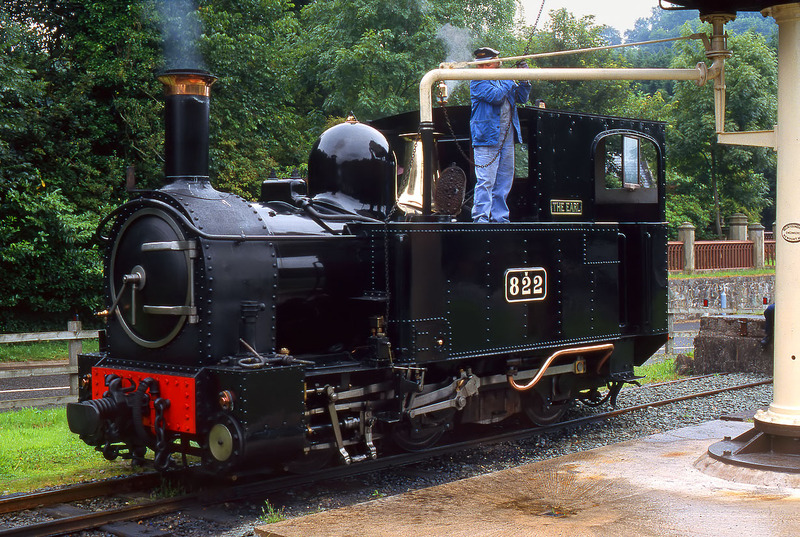 Welshpool & Llanfair Railway 0-6-0T 822 The Earl has its water tanks topped up at Welshpool on 4 August 2002. Built by Beyer Peacock in 1903, 822 is one of the line's original two locomotives, the other being 823 Countess. Note the large cast number plate, dating from its days as part of the Great Western Railway fleet.